Historic opioid legislation recognizes site-of-use drug disposal as key to stemming our nation’s medication abuse crisis. 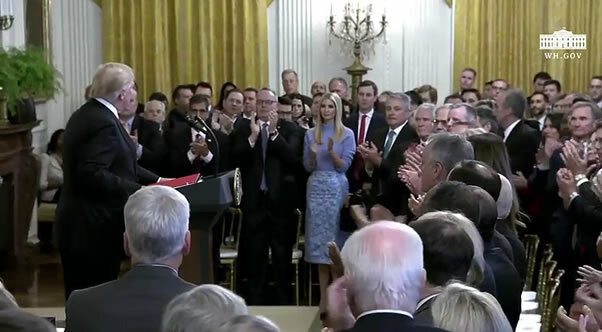 Today we celebrate the signing of that historic opioid legislation at White House event “A Year of Historic Progress and Action to Combat the Opioid Crisis”. DisposeRx is committed to eradicating the misuse of unused medications and today our CEO, Dr. John Holaday, issued a Call to Action for all Americans to clean out their medicine cabinets. Dr. Holaday has studied the opioid crisis from every angle, and is determined to change how our society views disposing of its medications. He is clear that getting people to “understand that they’ve got to change behaviors. They’ve got to look in their medicine cabinet and get rid of these leftover opioids.” is paramount in the fight against opioid abuse. Dr. Holaday addresses his concerns and offers solid safe solutions to tackling the opioid crisis with Opioids: Hidden Dangers, New Hope podcast host, Brian Wilson here. Please join us in putting an end to the 70% of new addictions that begin in home medicine cabinets. Congressman Richard Hudson – NC-08 and H.R.5687 – 115th Congress (2017-2018)- Securing Opioids and Unused Narcotics with Deliberate Disposal and Packaging Act of 2018 or the SOUND Disposal and Packaging Act. Congressman Richard Hudson – NC-08 on his views regarding the opioid crisis and how he and his colleagues are tackling this issue through bipartisan historic opioid legislation. of consumers said they wanted a safe way to dispose of unwanted, unused and expired medications right in their own home. ©2018 - 2019 · DisposeRx Inc. All rights reserved.